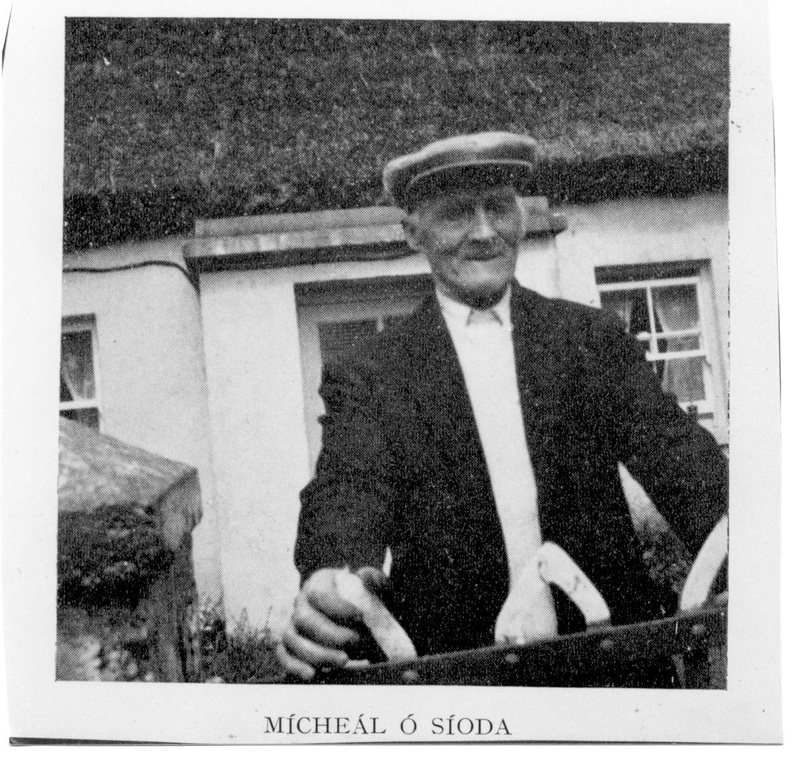 Micheal Ó Síoda (Michael Silke) died at his home in Carnmore when he was almost 80 years of age. An unmarried farmer, he was an outstanding traditional seanachaí (storyteller) with an enormous store of folklore, tales, local seanachaís, old customs and old farming methods. He had the reputation for having an inexhaustible fount of knowledge on olden times, which he could recount with great accuracy and detail. 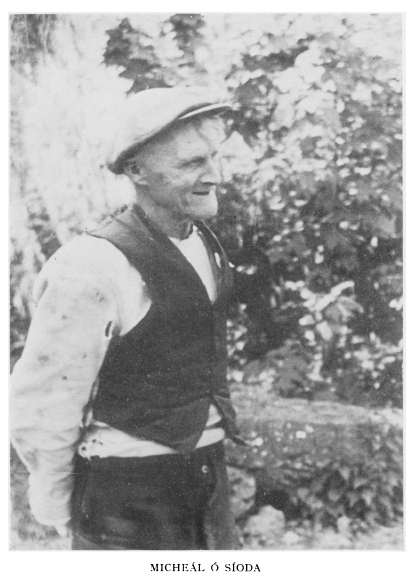 Much information from him is on file in the Irish Folklore Commission. He was also visited by many overseas scholars, among whom were Professor Heinrich Wagner from Queen’s University, Belfast, and Professor Myles Dillon of the Dublin Institute of Advanced Studies. He had a life-long interest in the poet Raftery. He wrote a long poem called Caoineadh an Chapaill. This page was added on 29/02/2016.